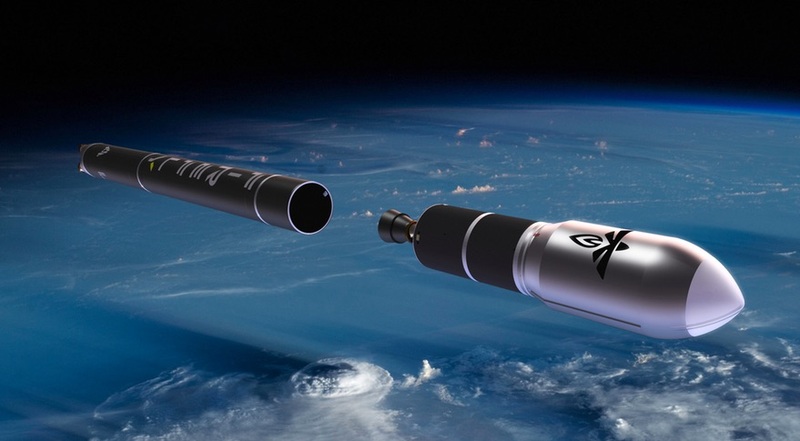 WASHINGTON — British smallsat developer Surrey Satellite Technology Ltd. (SSTL) announced June 4 it has signed an agreement for up to six launches from small launch vehicle developer Firefly Aerospace. In a statement, the companies said they had executed a launch services agreement that covered up to six launches of SSTL payloads on the Firefly Alpha launch vehicle between 2020 and 2022. Terms of the agreement were not disclosed, but Firefly officials have earlier stated a price of about $10 million per launch. The first satellite that SSTL plans to launch on the Firefly Alpha is Carbonite-4, a satellite SSTL had not previously disclosed. The first two Carbonite satellites were technology demonstration satellites with high-resolution imaging payloads. The agreement is the first announced by Firefly Aerospace, created last year when entrepreneur Max Polyakov acquired the assets of Firefly Space Systems, which filed for bankruptcy protection in 2016. The original Firefly was working on a smaller launch vehicle but had won only a NASA Venture Class Launch Services contract that was later cancelled. Firefly Alpha is scheduled to make its debut in the third quarter of 2019 from Vandenberg Air Force Base in California. The company announced May 1 that it had won approval from the U.S. Air Force to take over Space Launch Complex 2 West there, which currently hosts Delta 2 launches. The final Delta 2 launch, from that pad, is planned for September. In a May 25 talk at the International Space Development Conference in Los Angeles, Tom Markusic, chief executive of Firefly Aerospace, said that initial production of the Firefly Alpha will take place from the company’s existing facilities in Texas, but that the company plans to develop a new “mass production” facility as its launch tempo increases. While the company’s technical operations are primarily in Texas, in the Austin area, the company recently opened a research and development center in Dnipro, Ukraine. Among those who attended the opening of the center was Ukrainian President Petro Poroshenko.